Diet For a Breastfeeding Mom: what Can You Eat During Breastfeeding? Home Page > Blog > Diet for a breastfeeding woman: what can you eat during breastfeeding? Diet for a breastfeeding woman: what can you eat during breastfeeding? 3. Check out what to eat while breastfeeding! Diet for a breastfeeding mom – general recommendations. Feeding your baby and daily energy demands. A diet for a young mom, who has decided on breastfeeding her baby, shouldn't be a groundbreaking change in her life. It's good to just maintain good habits and habits from pregnancy. Of course, given the fact that the average daily energy need of a pregnant woman is 500 kcal more than during a standard diet. This means that you should eat meals with a total energy value of about 2500 kcal every day. This means two additional sandwiches or a bowl of walnuts just before bedtime. 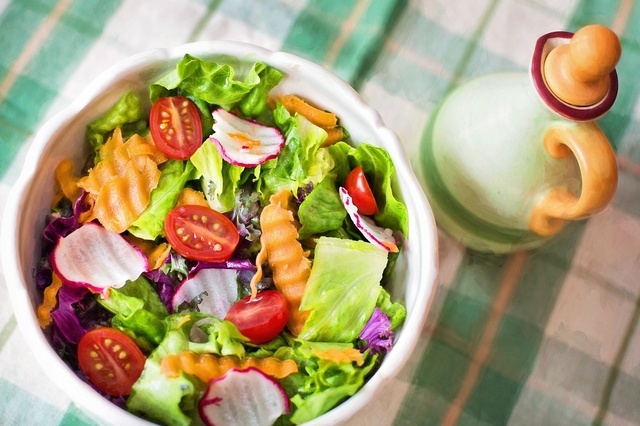 Most importantly, the diet of a nursing mom should be rich and varied. Both fruits and vegetables, dairy products, cereal products, meat as well as eggs and fish should appear on your plate! This varied menu will provide you with a set of minerals and nutrients for you and your baby. Of course, there are several products that are pointed out by higher content of desired ingredients as well as few items that should be eliminated from eating habits during breastfeeding. Both of these groups will be described in the given text. Dieting and breastfeeding - can you safely lose weight during lactation? If your diet does not exceed the recommended number of calories, over time you should gently get rid of the fat stored during pregnancy. In this state, such a layer of fat does not appear by accident - it is an extra supply of energy used during lactation, a milk production process. Therefore, it is not worth it - for your and your baby's health - to try strict diets. Well-treated body will return to its former form itself, you only have to give it some time. Furthermore, restraining from food results in lack of certain extremely important nutrients that are essential for proper development of our baby. In case we do not supply important micronutrients, our body performs lactation processes and produces milk from our own supplies. For example: a diet low in calcium causes it to be taken directly from our bones. It is an essential element for proper development of our baby's bones and teeth, therefore, its shortage is compensated by using calcium stored in mother's bones. We can then feel painful calf muscle contractions, recurrent headaches and general fatigue. That's why it is not worth to neglect eating the best calcium-rich foods - milk and dairy products. There are also substances that can not be replaced and without them we will produce defective milk which will make our baby develop incorrectly. The diet for a breastfeeding mother should be rich and nutritious. Diet for a nursing woman and proper development of the child. Check out what to eat while breastfeeding! Iodine – the amount of iodine in milk is directly dependent on mother's diet . This mineral is of great importance in metabolic processes, such as protein and fat transformations, it helps uninterrupted bone development, affects brain and nervous system, maintaining a healthy thermal balance and participating in energy processes of the body. Iodine deficiencies can be very quickly supplemented if we choose a proper diet. Iodine-rich foods include seafood, shrimps, baked potatoes, cod, turkey breast, natural yoghurt and cranberries. Zinc - in lactation processes, vegans and vegetarians have particular needs for zinc. In this case, short-term supplementation is unlikely to succeed - zinc needs to be supplemented systematically. It is responsible for proper body mass gain of our baby and is of great importance in preventing heart diseases. Zinc can be provided to your body with oysters, pork and beef, lamb, shrimps, garlic, pumpkin seeds and cocoa. Omega-3 fatty acids - unsaturated fatty acids (EFAs) are substances involved in processes responsible for the work of every cell in our body. The most important compound in fats is DHA, which is responsible for proper sight takes part in the processes of transporting data between nerve cells. For a developing baby, DHA acids are essential for undisturbed intellectual development, generating well-coordinated movements, and concentration skills. Omega-3 fatty acids are present in greasy sea fish and cold-liver oil. To their diet, nursing mothers should incorporate mackerel, halibut, sardines, cod or Polish...herring! Walnuts, seafood, avocados and linseed could also be served. Vitamin B12 – Especially vegans and women diagnosed with anemia suffer from deficiency of this vitamin. Its' lack is easy to fix by changing your regimen or proper supplementation because B12 is one of very water-soluble substances. It is essential in the process of producing red blood cells, it also enhances proper functioning of the nervous system. It protects from anemia and directly affects processes responsible for concentration, ease of learning and emotional balance. Its deficiency can lead to anemia, blurred vision and lack of appetite. Rich deposits of vitamin B12 can be found in fish: tuna, salmon, sardines, as well as in liver, eggs, cottage cheese and regular cheese. Vegans also may have good sources of vitamin B12: algae and seaweed, quinoa, amaranth or Spirulina. Vitamin A – The amount of this vitamin in your child depends on the amount of it supplied to your baby during pregnancy. Most of it is acquired during the last trimester of pregnancy, so premature babies require additional supplementation. Vitamin A is a substance crucial for the immune system to work properly and for cells to grow undisturbed. In addition, it improves the visual system. Vitamin A is divided into two components, that is into vitamin A that comes from animal products and beta-carotene of plant origin. Vitamin A deficiency is results in skin issues (irritation, soreness, keratitis or itchiness), eye mucosa irritation or hair dullness. Rich sources of vitamin A are vegetables: sweet potatoes, carrots, pumpkins, sweet peppers and kale, as well as tuna, mango and peaches. What products should absolutely be avoided in the diet of a nursing mom? Check out what not to eat while breastfeeding. High mercury fish: Mercury neurotoxins have a negative influence on your baby's brain, so it is important to avoid it in your diet. High mercury fish are most of all: shark, marlin, swordfish, tuna, butterfish, perch, cod, eel and roach. Fish that are free of mercury, such as traces, sardines, albacore or fresh salmon from good sources, can be consumed twice a week. In addition to the fish you can also eat mussels, shrimps or oysters. Coffee and tea: fortunately neither coffee nor tea we need to eliminate from diet completely. However, caffeine and theine have a stimulant effect so in large quantities they could cause the baby to be excited and have trouble sleeping. It is worth to reduce the amount of coffee to a maximum of two cups, preferably with milk. Black tea, on the other hand, could be substituted by tisane such as fennel and camomile. Additional benefits include improved lactation, decreased flatulence in the baby, calmness and milder teething. Also a remember that caffeine is also found in Coca-Cola or Pepsi - during breastfeeding it is better to give up these sweet carbonated drinks. Alcohol: drunk in large quantities during breastfeeding can negatively affect the child, inhibiting its growth, and disturbing the pattern of sleep and eating. So if we want to have a glass of wine, let us wait at least two hours before feeding. The best solution is to get the food into a bottle to feed comfortably. Citrus: sour citrus fruits can cause child's reflux and diaper rash. It is better to replace them with other, equally exotic fruits like mango or pineapple, or our native strawberries, apples or watermelon. If you can not resist an orange juice for breakfast, make sure it's no more than half a glass. 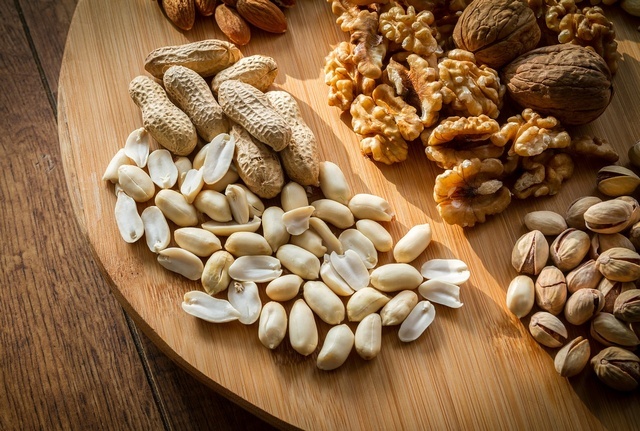 Peanuts: If your family has some records of nut allergies, you should stop eating them until your baby is no longer breastfed. This type of peanut causes the most severe allergic reactions. The child may develop itching, nettle-rash and may have difficulty breathing. Walnuts or almonds are less allergenic. What kind of diet should you chose during breastfeeding? Check out the menu for nursing mothers! Recipes for a whole week. Preparing a full-fledged diet for a nursing mom does not have to be difficult as long as we are following the above listed principles. Giving up meals bad for your baby and incorporating nutritious foods to your diet is a guarantee of a tasty and healthy regimen. Here are some inspirations that every breastfeeding woman can incorporate into her eating habits. Get the offers you like and give up what you do not enjoy, and you will certainly find the silver lining for balanced nutrition during lactation. 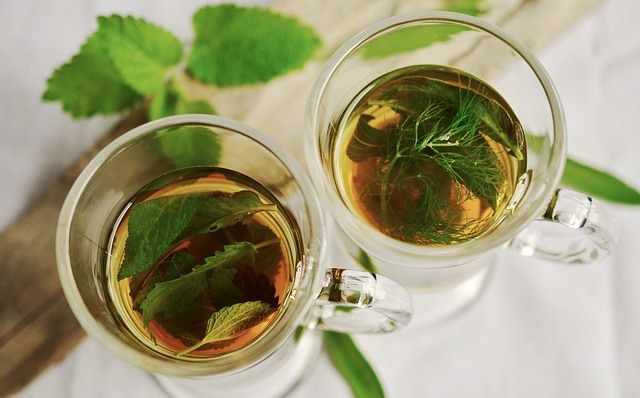 Fennel tea is one of the most valuable products in the diet of a breastfeeding woman.